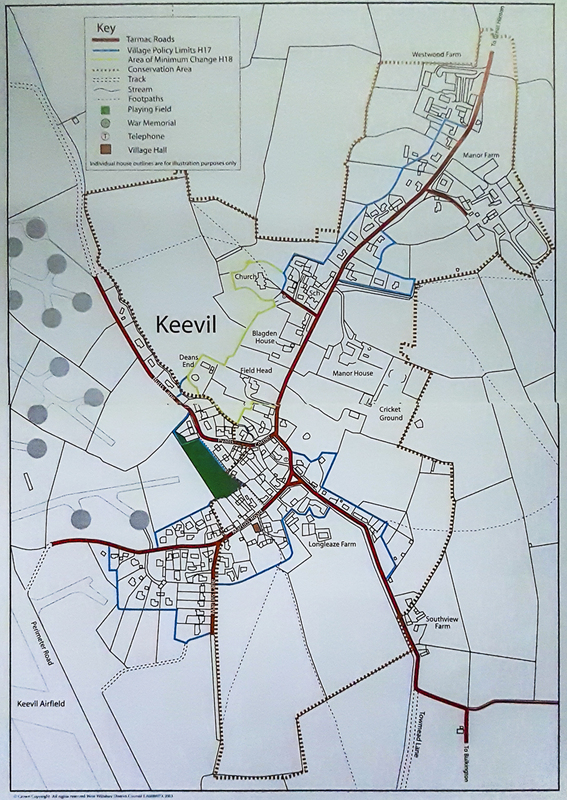 The original Keevil Society was formed by residents on 20th July 1987, with the founding aim of “stimulating interest and care for the beauty and character of the village among those who live here, a collective desire to keep Keevil unique in its own small way”. In 1990 members published the first edition of the famous Book of Keevil; three more followed with Book IV published in 2002. These volumes tell the history of the village and stories of the people and buildings which formed the community, and are the result of dedicated work by many people most of whom are past or present residents of the village. The Keevil Conservation Area was designated in 1973 to ‘preserve and enhance the special architectural and historic interest’ in certain parts of the village and, whilst this and key principles of the Village Design Statement remain valid (and may be referenced by planning officers at their discretion), the Wiltshire Council Structure has changed since its adoption. New National Policy led to new Local Plans, and a new Core Strategy was adopted by Wiltshire Council in January 2015 (running until 2026) – which means that the policies with which the Village Design Statement were aligned no longer exist. Alongside these changes, Neighbourhood Development Plans (or simply Neighbourhood Plans) were introduced as part of the Localism Act 2011 to give local people direct power to ensure that they get the right types of development for their community where the ambition of the neighbourhood is aligned with the strategic needs and priorities of the wider local area. Keevil does not have a Neighbourhood Plan. Core Policy 58 now covers Conservation of the Historic Environment. At the Parish Council meeting in March 2018, some residents expressed concerns that the Keevil Village Design Statement is no longer aligned with current Core Policies, and its influence on planning decisions for development within the village is uncertain. 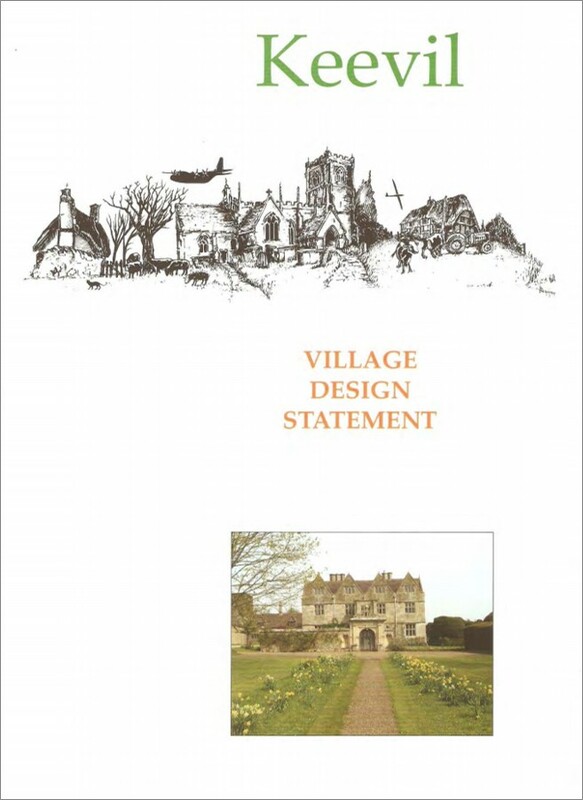 Confirm how much weight an updated Village Design Statement would hold in planning decisions. Consider whether a Conservation Area Appraisal and Management Plan would be a useful option. Investigate whether a Neighbourhood Plan may be a worthwhile approach for the long term. A 14-page report documenting the group’s findings and conclusions was delivered to Keevil Parish Council on 3rd May 2018. You can download the full report on the link above. The Church Farm planning application in January 2018 exposed several flaws in the way planning matters are communicated to villagers, as well as some vulnerability in the degree to which Keevil’s VDS can protect the village from inappropriate development – though it also showed how the village can rally around an issue. Most communities considering Local Plans of any kind are mostly concerned about development issues. As a small village, Keevil is not expected to take significant volumes of housing – in fact, no further developments are required to meet current Core Strategy according to the latest data issued by WC up to April 2017. The aims of Neighbourhood Planning are primarily to decide where and what type of development should happen in a local area and to promote more development than is set out in the Core Strategy. This, together with the time, huge commitment and cost (albeit covered by Grant funding) of producing a Neighbourhood Plan should point us in the direction of updating/renewing the VDS. In the interim we would like KPC to continue to visibly reference the extant VDS as a guide in their deliberations of planning decisions to support or not any forthcoming planning application. Support and cross-fertilise with KPC activity in any other scoping activity. 4 We would like to see Planning as a standing item on all KPC Meeting agendas, and recommend the appointment of a Councillor to hold a ‘planning portfolio’. A notice from the PC about their intentions to survey residents, and other village organisations such as the school, regarding the future of Keevil. This is not part of the above project and does not involve the project group. Follow updates from the Parish Council on ‘The Future of Keevil – Survey‘ here.